Growing up in Nigeria is definitely interesting. Nigerians are natural storytellers, who pass tales, myths and fables across generations; shaping mentality, building morals and forming the unconscious blocks that help children decipher the difference between right or wrong. The stories, however, are not self-generated content, they are developed from content written in storybooks and novels; while some were developed by the exaggerations of elders while telling tales by moonlight. Research has shown that reading and listening to book readings play a key role in enabling early learning experiences. It is linked with academic achievement, mental retention and oral development for enhanced productivity in adult life. Over the years Nigerian authors have written standard fictional storybooks, most of which have helped formed the basis of early child growth across most secondary and primary schools from different generations. Books like Chike and the River; Eze Goes to School, The Passport of Mallam Illia, The Drummer Boy, Ajapa the Tortoise, to name a few, are some of the books that resonate with children’s literature in the minds of Nigerians. While storybooks have continually remained in the market, it is pertinent to note that there has been little or no production of children-focused picture books for preschoolers. The lack of flexibility and adaptability of elementary school curriculum has resulted in the same types of books being recycled. Nigerian children literature has therefore been limited to book sequences that have been written many years ago. Oluwaseun Aina, Nigerian literary critic once said “there are myriads of challenges noticeable in children’s books. They are either not interesting, error-prone or feature poorly illustrated pictures.” It is important to change this because reading is the only foundation for knowledge acquisition and expansion. As Nigerians, the need to portray our culture, locale and food through literature is important especially for children as the first form of learning for them is through books. While several authors like Wole Soyinka and Chimamanda Adichie have successfully told some of the stories from our history, cultural heritage, heroes past through books either serving as a means of entertainment, education or social reforming, these books are written for adults with no specifics to children. Children in Nigeria often have to rely on oral legends and mythic narratives, rhymes and poems that have been handed down from generations on end. Others who have access to written literature have to read foreign books, limiting the opportunity to read stories that portray realities that they can identify with. Most Nigerian parents give priority to textbooks over books that do not fall within the curriculum. It is important to emphasize that good children’s books contribute to the upbringing and can form a module for learning. It is also necessary for a child’s mental development because of the use of clearly and beautifully illustrated pictures which depict the content of the books. 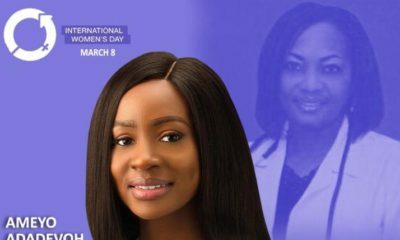 Authors like Olubunmi Aboderin Talabi who recently launched a series of Nigerian themed children’s picture books, show insights into the relevance of these books for children. 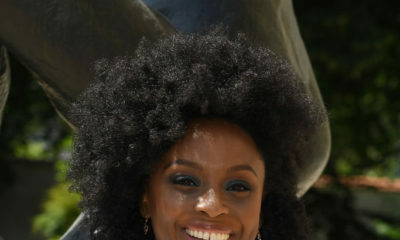 The writer and publisher through the launch of her three unique books; The Tobi Series, Diary of a Toddler and Kob the antelope, highlight family values and the need for children to understand the environment in which they live; food and the necessary health habits which children should cultivate. The Tobi Series is about the urban adventures of a happy-go-lucky, three-year-old girl living with her parents, a dual-career couple, in modern-day Lagos, Nigeria. Kob the Antelope is a story about stranger danger and teaches children obedience, and to be cautious of the environment they live in. Diary of Toddler shows a day in the life of a city-dwelling preschooler. 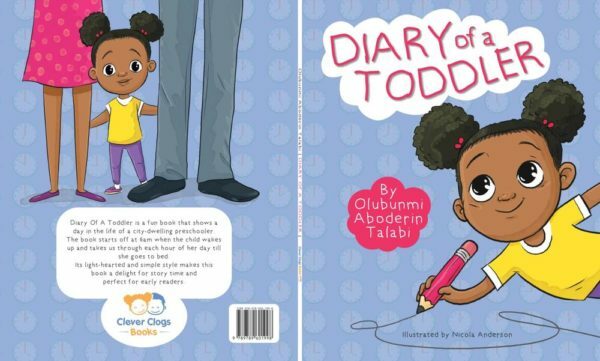 All books by Olubunmi Aboderin Talabi are simplistic and deliberately light-hearted and perfect for children. The books are also well illustrated in ways that will spark and strengthen visual thinking, and introduce children to the love of art. The books convey succinct contemporary Nigerian themes that help create a mental picture of the immediate environment in the minds of the young readers, helping them discover themselves first as Nigerians, and familiarizing them with our culture, ideals and even delicacies. With these inspiring picture books, children are introduced to the concept of reading, even if they cannot read yet. The author understands the importance of changing the perception in the minds of the younger generation, that reading is uninteresting because they have little or no access to exciting, inspiring and well-illustrated picture books, as opposed to textbooks. In exploring ideas about what Nigerian literature is, it is important to look at some of the things that makes it important. Nigerian literature mirrors our society; it makes us think about ourselves and our immediate environment; allows us to enjoy our language and its beauty, and it reflects and changes ideology. It would make a lot of difference to have children in Nigeria experience all of these through literature, and help them understand that reading can be enjoyable. 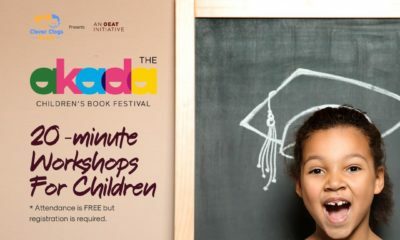 Akada Book is celebrating Children’s Literacy with its First Ever Festival!